In a perfect waterfowler's world, we'd all have unlimited access to the best duck hunting around, even if it was behind lock and key. But that scenario isn't rooted in duck hunting reality for most of us, meaning that enterprising waterfowlers must often chase a limit of quackers on public ground. Such a task isn't always easy, but it can be done with surprising regularity by hunters willing to do some homework and to go that proverbial extra mile. For those willing do so, the rewards can be sweet indeed, the kind of limit that produces immense satisfaction, not to mention several plump greenheads headed for the dinner table. 1. Get a Bird's Eye View: Back in the day, while I was a teenage duck hunting fanatic, the only way to get a bird's eye view of the areas that I hunted involved renting an airplane or making a trek down to the local soil conservation office. Since I was short on cash and my parent's didn't see the necessity of duck scouting from above, that meant that I had to rely on the soil conservation photo books produced by the federal government, which were designed to show various soil types in my county. Of course, I wanted them to find duck hunting spots, something that the printed relics collecting dust in my garage display thanks to the carefully highlighted areas, detailed notes and circled potential hotspots that I wanted to investigate further. Today, such tactics aren't necessary since online services like Google Earth, Terra Server and numerous smartphone apps will show a hunter what the local duck hunting territory looks like from above. What's more, some apps even mark the boundaries of local, state and federally managed land that is open to hunting. The truth is, to find productive public hunting these days, all a duck hunter needs to do is to get online and literally take a mallard's eye view of potential hunting spots. 2. Put Some Boot Leather Down: Seeing your hunting ground from above is certainly a key place to start when it comes to public duck hunting success. But since aerial imagery is usually a few months to a few years old, it may not tell the complete story about a public hunting area's potential since things like droughts, floods, manmade construction and various natural changes (like the alteration of a river bottom by way of a flood) can all conspire to change the playing field. That means the only real way to learn what that current real-time story happens to be on a prime tract of public duck hunting ground is to literally put some boot leather down. In other words, get out and take a look around whether it's on foot or by way of water in a duck boat, skiff or a canoe. “Scout, scout, scout,” laughed Jeff Gunnels, caretaker of the Texas Parks and Wildlife Department's Richland Creek Wildlife Management Area, a top public hunting spot in East Texas. “Scouting and a willingness to get away from the crowds (is certainly a key)," he added. But scouting, as necessary as it can be, is only one of the tools that can help a public land waterfowler come home with a limit of birds hanging from the duck strap. 3. Answer the Big Three Questions: Once you've seen what the ground you're hunting looks like from above – and what the real-time conditions are on the ground and on the water – then it's time to figure out how to answer three of waterfowling's biggest questions. Where are the birds roosting (Point A), where are the birds feeding (Point B) and what route are they taking to get from Point A to Point B. 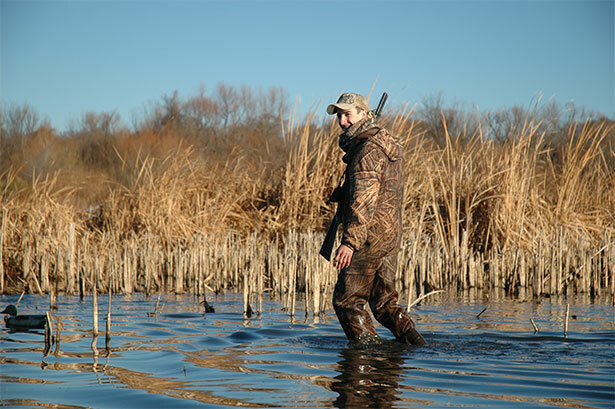 To answer those questions, a hunter has to utilize the gray matter between the ears, connecting the dots and figuring out where, when and why the ducks want to be in a certain area at a certain time. Not to mention how an enterprising waterfowl hunter can respond to all of that winged movement. Like a bass fisherman discovering a key fish catching pattern, such waterfowling intel can pay rich dividends as a hunter discovers what is driving local ducks at the moment and where similar productive hunting spots may be located. Sometimes, this means a little out of the box thinking is necessary before setting that next rig of decoys. 4. Take the Road Less Traveled: A fourth way to increase the odds of a good duck shoot on public ground is to be as willing and able as possible to hunt when and where other hunters will not or cannot. Sometimes, that means finding the local version of a bottomland Hades, the kind of place that is so devilishly tough to get into and out of that few if any other local hunters want any part of it. The truth is that while it might be all but impossible for local hunters to access, that can often mean that the spot will be loaded up with ducks. Another way to apply this principle is to beg for some time off at work and for a few kitchen passes at home. 5. 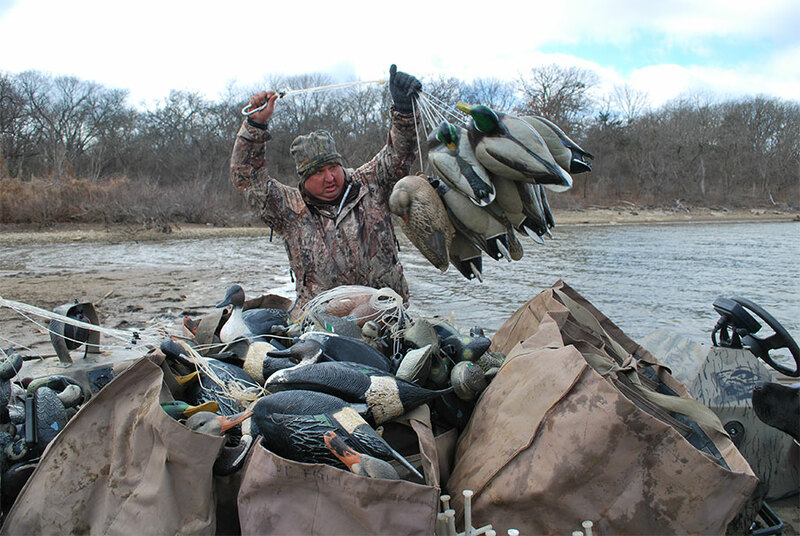 Hunt the Weather: A final key to public hunting ground success is for duck hunters to keep in mind that Old Man Winter will often be the driving force that sends ducks roaring down the four North American waterfowl flyways. How? With the passage of big-time cold fronts and sizable storm systems that bomb out with low pressure, wind and chilly precipitation. Because of that, such weather systems will usually result in sizable movements of ducks so it pays for a public land duck hunter to keep an eye glued to the Weather Channel as the season unfolds. An example of that happened in my local neck of the woods a couple of Decembers ago when an unseasonably strong winter storm brought five inches of sleet and temperatures in the low teens to the North Texas region. That resulted in a massive influx of ducks into the area before Christmas and plenty of limits of mallards, wigeon, gadwall, green-winged teal and even a few pintails for those hunters who were able to get out and get around on the icy landscape. The truth of the matter is that public duck hunting can be one of the toughest ways to enjoy the sport and to consistently take a limit of ducks. But for those hunters who do their homework and put in the blood, sweat and tears necessary to be successful, the payoff can be memories of great hunts that will last a lifetime.